Completed on a tight budget and a 90-day schedule, this 3,000 square foot office renovation established a new St. Louis office for George K. Baum. 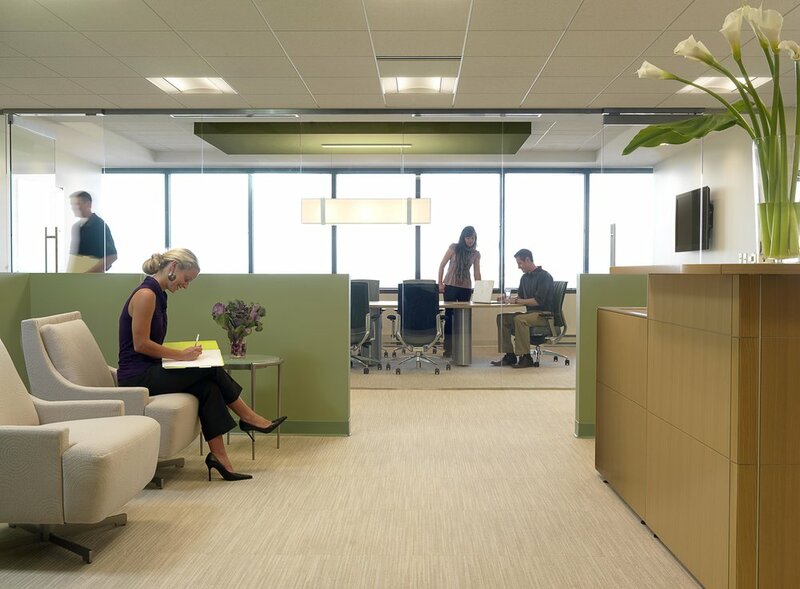 High-end finishes with sophisticated materials and a subtle color palette add to the delicate office environment. Its open and clean design is paired with a warm and welcoming color palette. Glass partitions enhance natural light throughout the space.